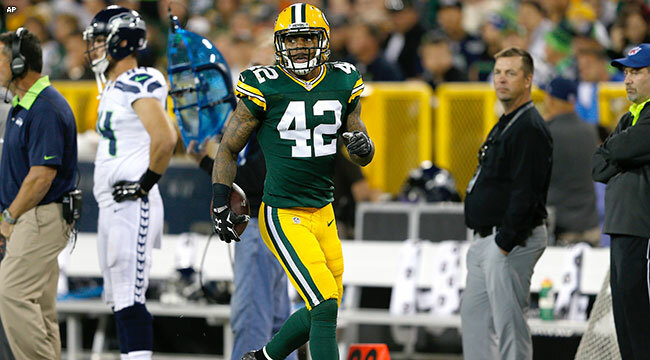 GREEN BAY — The Packers defense is expected to get veteran safety Morgan Burnett back from his calf injury for Sunday night’s game in Denver, and his return is timed well. Not only is the defense coming off a rough day statistically against the pass vs. San Diego, but now Broncos QB Peyton Manning brings an even savvier approach to the line of scrimmage the Packers must react to. Burnett has played only one game this season, but the defense has held up well in his absence. The unit might be down one member on Sunday night. Rookie CB Damarious Randall sat out practice on Thursday with an ankle injury, though McCarthy said he hoped Randall could practice on Saturday. The Packers are flying out earlier than normal to get a workout in the day before the game. RB James Starks (hip) returned to practice on a limited basis Thursday and has a chance to play on Sunday. “James looked good,” McCarthy said. “I’ll go right from here to the training room for a Friday meeting. So far, so good. Packers.com will have more later.